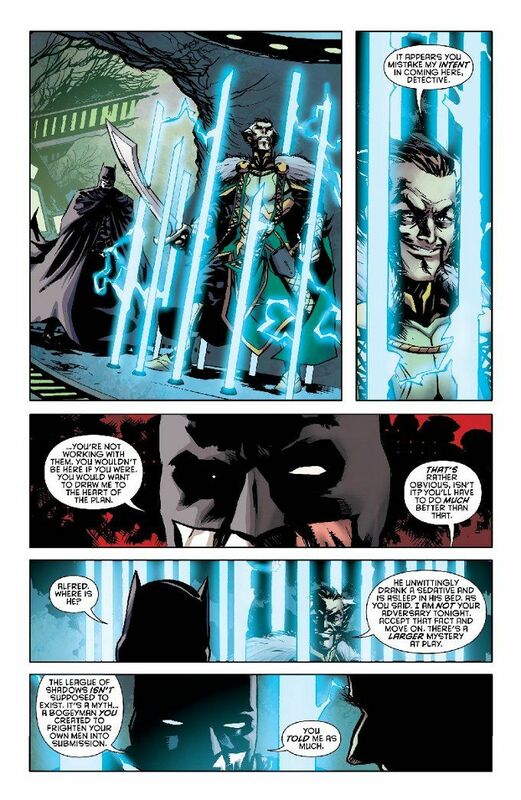 With The League of Shadows laying waste to Gotham City and all of his operatives abducted, Batman is in little mood to indulge Ra's Al Ghul's desire to talk. Can the two old enemies find common cause against Lady Shiva and her splinter group? Or will "The Detective" have one more enemy to face this night? Detective Comics #954 is a decidedly average comic. James Tynion IV's writing is in fine form, presenting that rarest of all sighs - an emotionally out-of-control Batman who is off-balance and fighting blind. His take on Ra's Al Ghul is solid too. Unfortunately, the artwork by Marcio Takara is uncharacteristically sloppy and over-inked. It's difficult to follow the action of the issue and the muted palette utilized by Marcelo Maiolo leaves everything looking dull and washed out. Hopefully the art game will be stepped up in two weeks.